Testimony in a Chicago courtroom is reverberating in South Asia Friday, as two senior U.S. officials meet with counterparts in Indian and Pakistan. Pakistan's commitment to fighting terrorism – and rooting out complicity among elements of its own government – are sure to come up in meetings Homeland Security Secretary Janet Napolitano has in India and Secretary of State Hillary Clinton has in Pakistan. During four days of testimony, an admitted plotter in the November 2008 terrorist attacks in Mumbai chronicled his recruitment, training and handling by former Pakistani army officers and members of the country's Inter Services Intelligence agency (ISI). Ten gunmen from the Pakistani-based terrorist group Lashkar-e-Tayyiba killed 166 people in the assault, including six Americans, and held parts of the city under siege for three days. David Headley, an American from Pakistan, pleaded guilty last year to his role in plotting the attack by conducting surveillance missions on a variety of targets. In four days of testimony and cross-examination, Headley detailed meetings he had with military and ISI officials. A Pakistani intelligence officer, a former army major and a navy frogman were among the key players in orchestrating the Mumbai assault. Reports linking the ISI to the attacks had been issued long before the trial opened Monday. But the exhibits and testimony added new detail and credibility to those reports. On Thursday, India's Foreign Minister S.M. Krishna demanded answers from Pakistan over the ISI involvement in the attack on his country. "I think ISI and the government of Pakistan has so much to answer," Krishna said, "not only to India but to the international community." Napolitano declined to comment on the issue, but reports indicate the United States is granting Indian officials more access to Headley. In India, the anger is clear. "We are at a stage where we do not need further evidence of the involvement of official Pakistani agencies, specifically the ISI, in terrorist activities in India," the Deccan Herald in Bangalore wrote Friday. India has conveyed such evidence to Pakistan, and has drawn the world's attention to it but Pakistan has always ignored or denied it … [Headley's] revelations under oath carry credibility and they confirm all the charges made by India and present more details in their support." Headley testified against Tahwwur Rana, a longtime friend who is accused of helping facilitate Headley's trips to India to conduct surveillance on possible targets for the Mumbai attacks. Rana allowed Headley to use his immigration business as a cover for those scouting missions and for similar trips to Denmark for a terror plot that never materialized. Rana was aware of the attacks in advance, Headley testified, and expressed pleasure at their success afterward. But it was Headley's account of his handlers that is driving international media coverage and the attention of political leaders. He had been spotted as a potential ISI recruit by Major Samir Ali while he was jailed on drug trafficking charges at an army post in Landi Kotal, Pakistan, Headley told defense attorney Charles Swift on Thursday. Ali later introduced Headley to someone known only as Major Iqbal. Headley met repeatedly with Iqbal to discuss the Mumbai attacks. Those discussions were followed by additional meetings with Lashkar operative Saajid Mir, an alleged mastermind of the attacks. Iqbal and Mir also face charges in this case, but are believed to be in Pakistan and have not been apprehended. Headley also described an October 2008 meeting with both Iqbal and Mir at his house in Mumbai to discuss attacking the offices of the Danish newspaper Jyllands Posten to kill an editor and cartoonist. The newspaper had unleashed a wave of violent protests across the Muslim world in 2005 following its publication of cartoons depicting the prophet Muhammad. The Denmark plot subsequently was put on hold by Lashkar in the wake of heightened vigilance following the Mumbai attacks. Abdur Rehman Hashim Syed (also known as "Pasha"), a retired Pakistani army major and co-defendant in the case, connected Headley with al-Qaida commander Ilyas Kashmiri to pursue the Denmark operation after Lashkar backed off. Headley testified Pasha told that Lashkar engaged in "ISI jihad." A Pakistani navy frogman helped decide the landing site for the Mumbai attackers coming in from Karachi on boat, Headley told jurors. The name "Major Haroon" also came up during the trial in connection with an e-mail Headley forwarded to Rana in September 2009. The e-mail included an article he sent to Rana following a discussion he had with him regarding Haroon, Headley testified. 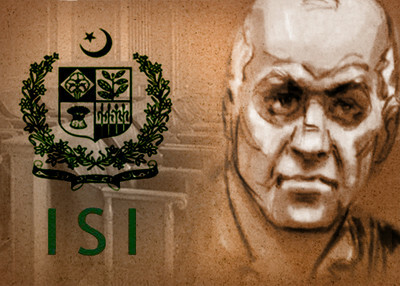 Major Haroon Ashiq, a former Pakistani Army officer, was implicated in the November 2008 murder of a retired Major General in the Pakistani army. Kashmiri reportedly paid Haroon 125,000 Pakistani rupees (roughly $1,460) to carry out the attack. Iqbal has also been reported to have introduced Headley to another ISI handler identified as Colonel Shah. On Thursday, Headley expressed remorse for the first time over his role in the Mumbai carnage. Under cross examination by defense attorney Patrick Blegen, Headley said he felt proud of his actions at the time. "Are you proud of it today?" Blegen asked. Headley promptly replied, "No." The trial resumes Tuesday when Headley's cross-examination is expected to continue.